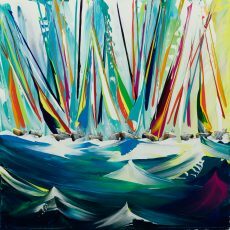 Jan has been painting for over 25 years. 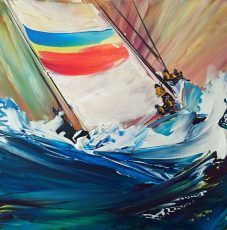 Although largely self-taught, she completed 3 years with the Open College of Arts to hone her skills. 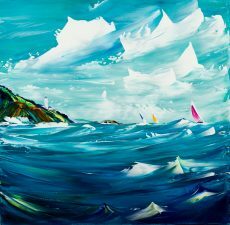 Never far from the sea that provides her inspiration, Jan works full time from her studio in Scotland. 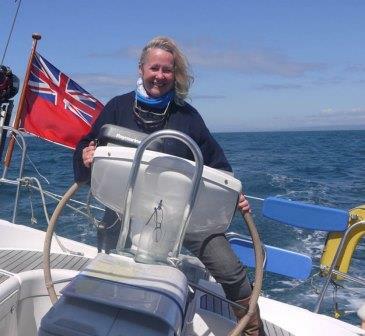 A keen sailor, she takes every chance she can to get out on the ocean and race. 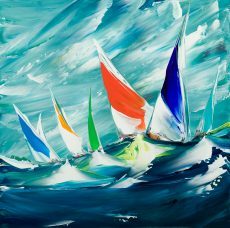 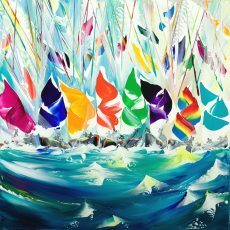 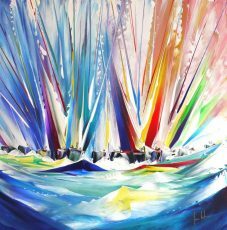 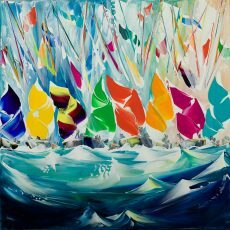 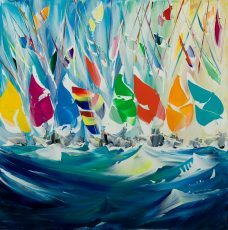 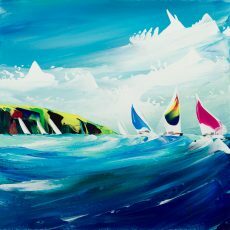 It’s little wonder that her work so brilliantly captures the spirit and excitement of racing a yacht at sea. 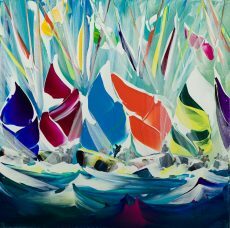 Jan works mainly in acrylic, painting with speed and intent. 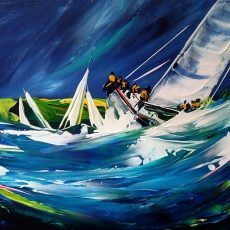 A striking palette combined with a fluid, energetic technique creates unique work. 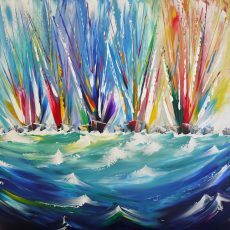 Every painting is instantly recognisable as Jan’s signature style. 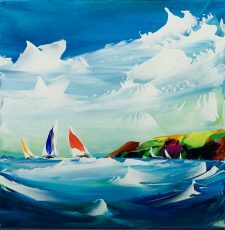 We’ve been showing Jan’s spectacular work at Dart Gallery since 2009. Her work has regularly appeared in mixed shows and was featured in a solo show in late 2017. 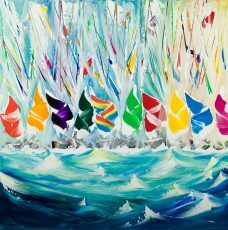 Whether you’re a fan of Jan’s already or new to her work be sure to sign up to our mailing list below for your invitation to the future exhibitions. 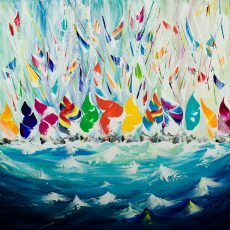 Our next solo show with Jan launches in May 2019. 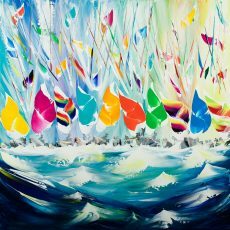 ‘Setting Sail’ will feature around 25 new works, many inspired by our location. 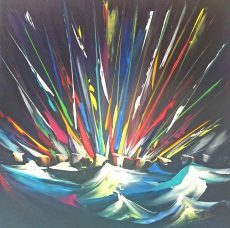 Join our mailing list for your invite.